It's no secret that people in the animal welfare field disagree on topics related to training, favorite breeds, preferred collars. As 'pit bull people,' we're used to having frank discussions about our breed, and we welcome respectful disagreement, intelligent debate and solution-based brainstorming. After all, the media has set a dire tone, so we recognize that we're working within a very fearful belief system. We wear thick skins and stay loaded with facts, statistics and years of experience. We've become accustomed to dissecting breed myths (Locked jaws? No. Born to turn on you? Please). We work daily to share our experiences, present our dogs, offer our perspectives. We remind ourselves: Stay patient, stay calm ... Educate by example. Recently, I received a troubling email from someone we know and respect. She explained that she was aiming to highlight the "dark side" of pit bulls and, as a non-advocate, felt that she was in the unique position to do so. As part of her goal, she is sharing a training hand out that describes pit bulls as "undesirable" and "anti-social." Strong language; stronger opinions. Because the author is a reputable leader in her field, the statements sent shock waves in our group and out in broader circles. We had lengthy internal discussions in BAD RAP about a best response. The stated opinions have the potential to be misunderstood and to bring very negative consequences to our dogs, and at a time when they're most vulnerable to those who would wish them harm. We made a decision to go forward with an online response, and we're opening this discussion up to the public discourse in order to educate, enlighten, and create a larger dialogue on the very important subject of pit bull behaviors and temperament. The author has been alerted and if desired, can use this blog as a place to defend, discuss, dissect the opinions offered. Many of you have read (or heard about) the harrowing story of Gilbert and his 11-year-old buddy Eddy. Short version: Gilbert had to undergo an emergency surgery recently to save his life. As you can see from this pic, Gilbert is on the mend and home recovering with his best pal. We're still fundraising to cover it. "One bonus of wearing that bucket on his head is that he can steal one of Max's toys and then put his head down to surround it and seal it off as Max tries to steal it back...and he's really workin' that angle too! What a silly dog. " You might recall that Gilbert's pal Eddy was also slated for heart surgery a few days after Gilbert's dramatic operation. We're pleased to relay that Eddy's surgery was nowhere nearly as dramatic as Gilbert's, and Eddy was able to return home the same day. Unfortunately, the doctors were not able to repair Eddy's heart. The good news is that they will be able to try again when he gets a bit bigger and older. In the meantime, Eddy is looking on the bright side and is just glad that his pal Gilbert is home to hang out with him. There may be no Little League this year, but there's two dog pals that aren't going anywhere. BAD RAP's Pit Ed Class was cancelled for the first time in weeks yesterday because of pouring rain. The diehard folks that did show up in rain gear and soggy shoes were understandably disappointed. For many of us, this class has become the center of our little Pit Bull Universe. We watch rowdy, ill-behaved shelter dogs transform into well mannered ambassadors and go on to find homes, we share news, celebrate newly earned CGC (Canine Good Citizen) awards, we enjoy good laughs, encourage overwhelmed new handlers and generally, get the kind of mood boost that lasts for an entire week. I love this class. The photo above shows a recent Pit Ed 'field trip.' 15 dogs showed up on this day, ready for a new challenge. We decided it would be fun and worthwhile to test everyone's skills in the crowded, chaotic shopping district that is 4th Street in Berkeley. This high end retail area is filled with every distraction including traffic, cats piled in cages outside of a pet store, street musicians, hurried crowds, skateboarders, and the occasional off leash dog....A true test of any dog handler's skills! As expected, everyone took the field trip in stride. Surprised shoppers got to see a mass of beautiful pit bulls showing perfect manners. No small feat considering some of these dogs were spazzy, unfocused hurricanes only weeks before. The handlers in class aren't "expert" behaviorists or even part time trainers; They're just normal people with big hearts who travel far and wide to join this very special Universe where pit bulls are trained, celebrated and adored. Throughout discussions of the Pit Bull breed, you will notice two words repeated over and over again: Responsible ownership. With media hysteria looming closer every day, good owners find themselves endlessly having to defend their breed. Every bad story and headline damages Pit Bulls even further. Irresponsible and ignorant owners have done almost as much damage to these dogs as dogfighters have. The Pit Bull is an exceptional breed that requires exceptional dedication and ownership. The breed's very survival depends on new owners knowing what they are doing to their dogs, and being responsible and protecting the breed's reputation. Many people think of a Pit Bull and automatically get scared, or think of all the bad things Pit Bulls do. There are numerous reasons for owning a Pit Bull. They have a good temperament, they are loyal, and they are very intelligent. Pit Bulls generally have great temperament. Typically docile and playful with its family, the Pit Bull is very friendly toward strangers. This dog is always great with children. It can be aggressive toward other dogs — especially those that challenge it. It is stubborn, tenacious and fearless. For the breed’s tough persona, the most important thing in life is its owner's fond attention. Like any dog, if a Pit Bull is frequently ignored or abused by its owner, its attitude can change from friendly and social to scared and antisocial. The American Temperament Test Society provides temperament testing around the country for dog breeds, and gives a passing score for the entire breed based on the percentage of passed over failed within total number of the particular breed tested. As of December 2003, the American Pit Bull Terrier has a current passing rate of 83.9%, and the American Staffordshire Terrier passes at 83.2%. In comparison, The Golden Retriever passing rate is 83.2%. Therefore, the Pit Bull’s reputation is only limited by its aggressive classification; but really, Pit Bulls are no more aggressive than any other dogs. Pit Bulls are wonderful, loving, and loyal companions. They are great dogs to have as pets because they show a great amount of loyalty to their owners and they’re very respectable toward their surroundings. “My children have lived their whole lives around Pit Bulls and pit mixes... They have always been the sweetest most loving and loyal dogs that I have ever owned... My pits were raised with the same love as my children and not one of them turned out vicious and out of control. It's the owners not the breed that makes them what they are.” As you can see from this quote by Pamela Stricker, a Pit Bull owner, Pit Bulls are great dogs, but they are misunderstood. Some people may think that it doesn’t matter how you treat a dog, because they aren’t very important, but dogs are just like us and they have feelings, but aside from being loyal companions, they are very intelligent. It may come as a surprise, but Pit Bulls have a constantly expanding mind. They can easily pick up and understand any directions they are given. For example, Pit bulls are commonly used as therapy dogs and visit senior care faculties and help people recover from terrible emotional accidents. Pit Bulls from around the world are taken to hospitals to warmly greet the patients. It is said that people that are sick are more likely to feel better when they are visited and talked to by ones who care about them. Pit Bulls are perfect for this job. Pit Bulls are great pets to have, but are constantly misunderstood. You may say that it doesn’t matter, because they are just dogs, but if you really think about it, dogs are living things like you and I. Every living thing deserves a chance. If you are like me and think that Pit Bulls deserve the right to live, take a stand and tell someone. Make posters; use markers and colored pencils. You can staple one on a tree or slap one on a sign. Anything will help. I guarantee, if you put up at least five posters, someone will read one and your message will successfully get across. Sometimes, rescue is about very difficult choices. 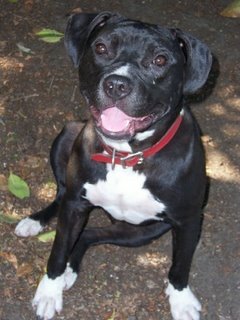 When we pick a dog out of the shelter, we leave behind other perfectly deserving dogs who will not survive the system. There is nothing wrong with these dogs; there are simply not enough homes available to absorb the torrent of pit bulls pouring into the shelters due to the backyard breeding epidemic. Last weekend, we had a very difficult decision to make about Gilbert. This is a long story, and it’s a crazy story, and it’s a suspenseful story, and it’s a puzzler of a story, and it’s a true story, and for all of these reasons it will be told organized by proper dramatic structure (because long crazy stories need some sort of organization, after all). If you want the short version of the story, scroll to the very end of this post and look for the “The Very Short Version of the Story” section. 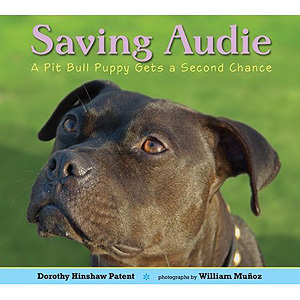 Now, without further ado... the long and complete version of "The Amazingly True Story of Gilbert’s Near-Death Experience and the Little Boy Who Helped Save Him"
Gilbert the 1-year-old brindle pit bull is in a foster - to - adopt situation in Marin with Angie (human mom), Eddy (human 11-year-old boy), and Maxine (canine sister). A couple months back, Gilbert came down with mange rather out-of-the-blue; he’d had a gorgeous coat up until this point. After trying a variety of remedies, we decided to go the Ivermectrin route in mid-December. Gilbert started vomiting 6 days into the Ivermec, and was quite averse to taking it. Angie stopped administering it, called the vet, and he called for a second course. Again, Gilbert starts vomiting 6 days into the Ivermec. This time, though, he hasn’t stopped vomiting even though Angie has halted treatment. Gilbert hasn't eaten in a week and vomits uncontrollably if he’s given anything but water, and he's slowly and painfully dying before our eyes. He won’t eat, he’s so weak he can barely sit up, his muscles aren’t working right, his pupils are dilated, and he has two vets with different diagnoses. Vet 1: He prescribed the Ivermec and has never seen anything like this related to the medication. (Neither have we, and we’ve used it before.) As of Friday, Vet 1 thinks it's a blockage and wants to open him up immediately. X-rays are inconclusive and show nothing but gas in his system, but there could be something hiding. Gilbert's abdomen is not distended. The risk here of course is that he’s very weak, and if it's something else like Ivermec poisoning, another round of anesthesia + surgery could be too much for his compromised system. Vet 2: He thinks it's Ivermectrin toxicity. This vet thinks that Gilbert’s vaccines + the anesthesia from his neuter are what set off the mange in the first place (which seems like a good theory - healthy dogs don't generally just get mange) and that the Ivermec was the final straw. He wants to prescribe some holistic remedies, and if the dog hasn't eaten by Sunday morning, it would be time to go to the emergency vet to possibly do an exploratory surgery to determine whether there is in fact a blockage not visible by X-ray, because that would be our final hope. The bottom line is that we have a dog exhibiting a very strange collection of symptoms, making him very difficult to diagnose. Unfortunately, he’s dying while we’re trying to figure it out. In the middle of all this, of course, is an 11-year-old boy. Eddy absolutely adores this dog. Eddy in fact has come to Angie mid-week after yet another vet appointment to offer up his life savings of $188 for Gilbert. 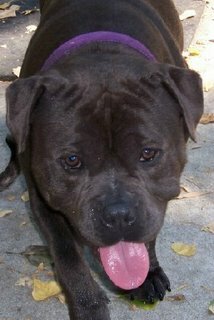 Eddy has a heart condition and is slated for heart surgery the following week. So, as you can imagine, things are a little stressful all around. Friday, incidentally, is about the time that we’re all wishing that Dr. House is a real person, that he’s a vet, and that he’s at our disposal. So: Despite Vet #1 generously offering to open up Gilbert for free, we decide to give the dog’s system a chance to tell us definitely what’s wrong with him for the next day or so. It’s at this point that Angie foregoes usual foster bootcamp protocol and starts letting Gilbert sleep in the bed, because he really doesn’t look like he’s going to make it. Unfortunately, Gilbert goes downhill further with an Exorcist-like purge and then spends all of Saturday without moving. Eddy gets him onto the couch and they watch "The Dog Whisperer" together all day. Gilbert is too weak to move and so they bring water to him (and food, which he refuses). Gilbert sleeps in Angie’s bed and makes it through the night. On Sunday, after a billion phone calls, Angie takes Gilbert to the emergency vet in San Rafael. She tells them the entire story (leaving out the detail of the 11-year-old who offered up his life savings to save his dog). The vets decide to do another round of X-rays. This time, they find that he does have a blockage – it seems that the Exorcist-purge moved it, and not it’s visible via a big lump in his intestines. The good news is that we have a diagnosis. The bad news is that the surgery estimate is $4000-$7000, and that might not cover aftercare. Unfortunately, decisions have to be made immediately. There’s no time for fundraising, for much discussion, or even remotely for a bottle of tequila. See, here’s the thing: we can't spend that kind of money on a single dog, and neither can the foster family. Though it’s unthinkable and the worst-case scenario, we have to discuss euthanasia here. We talk to the vet clinic to explain the situation, and we don’t leave out the salient detail of an 11-year-old boy who’s about to have heart surgery and wants his best friend home. After a lot of phone calls and calculations and wheedling and discussing various scenarios, the vet agrees to go in and try to stay within a budget we've discussed. Phew. Hurdle one: jumped. Now there’s just the tiny matter of a very sick dog who needs to be stabilized for surgery, the surgery itself, and recovery. Gilbert is at the vet clinic all day to stabilize him (his electrolytes are way out of whack), and the surgery takes place around 9PM. It turns out that Gilbert has some sort of plant matter in there - possibly a pinecone, they can’t tell. Unfortunately, some of his intestines have died off, and they remove 1.5 feet of his intestines and reattach them. The best guess by everyone is that poor Gilbert had Ivermectrin toxicity and was feeling so sick that he ate a bunch of plant matter to make himself feel better, thus getting a blockage. Seems that both vets were right. Fast forward to Monday morning at 8AM, where our bill is maxed and Gilbert theoretically needs to be moved somewhere cheaper (or free). We discuss various options (including risking it and taking him home), but eventually decide to just leave him there because it’s safer for him, though there are lots of minidramas and phone calls throughout the day about money, his health, his stress level, etc. Monday is a very stressful day for everyone - most especially Gilbert. Monday night and Tuesday however are lots better, and he goes home Tuesday night to a very relieved Angie and an ecstatic Eddy. The vet staff at the clinic is apparently receiving calls from everyone - all vets, and staff - that have been involved with Gilbert. They tell us they've never received so many inquiries on a single animal. We think Gilbert's pretty lucky to have so many committed fans. 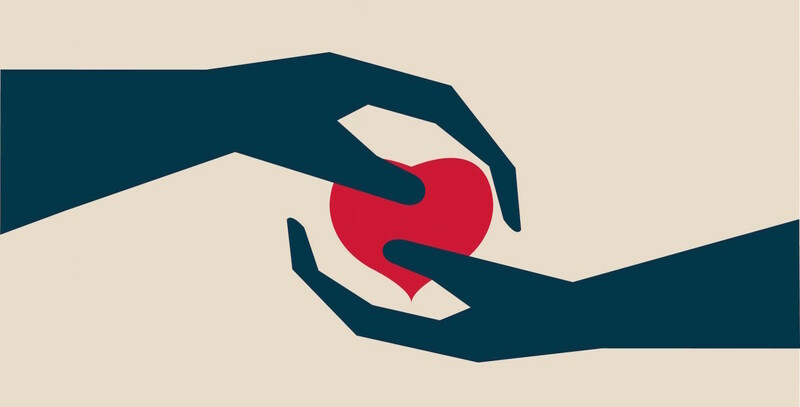 Of course, even with the deeply discounted services we receive, we do cut into our bank account much more than we’d usually do, and we’re going to be doing some post-op fundraising. We’ll keep everyone updated on Gilbert’s recovery, and we may even sneak in an update about Eddy as well. For now, rest assured that both dog and boy are doing just fine and are overjoyed to be back together. Gilbert’s coat actually looks great. The Ivermec did its job - too bad it almost killed him, in a roundabout way. We’d like to offer heartfelt thanks to Dr. Ray, Dr. Todd, Dr. Zumpano and everyone at the Pet Emergency & Specialty Center of Marin for giving us so many price breaks on treatment and taking such good care of this dog. Without everyone working with us throughout the long ordeal, we would not have been able to save Gilbert. Gilbert had to undergo an expensive and emergency treatment to save his life, and we’re fundraising to cover it. Your help is, as ever, appreciated. BAD RAP is so fortunate to have the most dedicated group of volunteers at Pit Bull Hall. Their weekly visits are so important for all the dogs and we couldn't thank them enough. 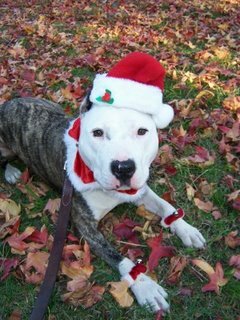 Here is one volunteer's take on her volunteer experience at Pit Bull Hall. Thanks, Katie for sharing this with us. And sharing your time with the dogs. Volunteering at Pit Bull Hall is one of the most gratifying experiences I have had in my entire life. Not only do you get to work with incredibly adorable pit bulls but you also learn so much about the breed in the most hands-on way possible. Each dog has its own story prior to arriving at the Hall. Some were treated unkindly and just need a lot of love and attention. Others need stronger guidance in order to truly be their best. They are each unique and all carry different characteristics that the breed has to offer. You learn really quickly which dog may challenge you and which dog you will happily challenge. My favorite part of working with the doggies is watching them grow and learn. I visit weekly and I swear they are more socialized and responsive each time I visit. Sara is the official Pit Bull Hall trainer. Each volunteer is thus a teacher to the dogs under her instruction and guidance. Whenever I have questions or concerns about a particular situation or dog, there is an incredible support network waiting for me, ready and willing to answer any question I may have. Not everything at the Hall is about structured training however. Trust me, there is a lot of room for cuddling, snuggling and down time which the dogs need and appreciate too. In fact, there is a couch specifically devoted to spending down time with the pups. Sometimes I bring a book or a magazine and cuddle with someone on that couch. Gotta love snuggle-bull pitties! The dogs need attention, lots of exercise, and basic training and guidance from you. You may have time for all three activities or just one. Luckily, volunteering is a lot of fun! Even though there are a lot of rules to get to know (who can play with who, who gets treats, what dogs know what commands), you still get to make up your own plan for the day. One time I dressed up Chickie Sue in Christmas clothes and had a photo shoot! Some dogs are allowed ‘play-dates’ with other dogs, which is a great way to socialize them (and also get them really tired!!!). If you get attached to a particular dog you are allowed to take them home for a night or two in order to spend extra time with them. It’s a great way to get to know them even better (And you get to have a super cute pit bull in your home!). I have a crazy busy schedule but I always manage to find time for a trip to Pit Bull Hall because it is so worth it. The dogs appreciate it so much. Nothing cheers me up more than the smiling pit bull faces that greet me every Wednesday between 2pm and 4pm. Really!